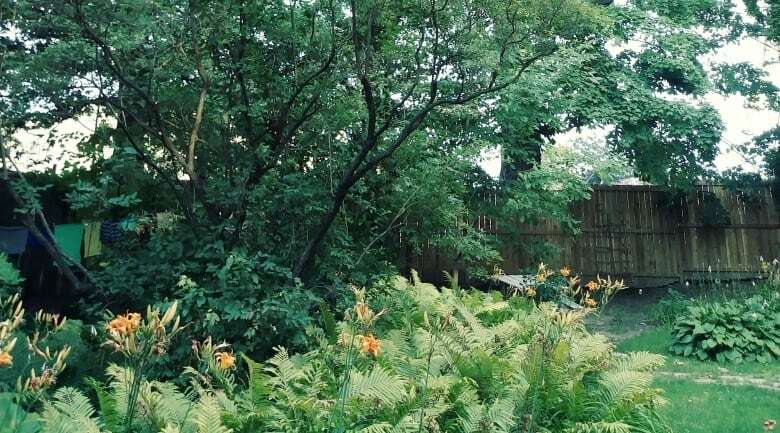 A homeowner in Old Ottawa East is fighting to save century-old trees from being cut down by a developer who originally promised the maples would be preserved. The two trees straddle Richard Deadman's backyard and the northern edge of Greystone Village, a 916-home development along the Rideau River. The developer, Regional Group, originally told the neighbouring community the trees would remain. Deadman only learned the plan had changed when he noticed orange markings on the trees earlier this week. He soon discovered Regional Group had already applied for a permit to cut the trees down and he had only 48 hours to oppose it. Deadman said he feels blindsided. "It makes me very upset at the way they treated us and the way they handled this," he said. "I feel like they were trying to kind of sneak one by us." The developer and the city have not told him what's changed that would require the trees to come down, Deadman said. "We really did want to preserve these trees," said Josh Kardish, vice-president of EQ Homes, a home building company affiliated with Regional Group. "That was part of our plan all along." Two years ago, before the development was designed, Kardish says "we walked the area and realized how special and beautiful the trees were." "So, we actually redesigned the entire phase of the community." The company attempted to save the tree using a "plastic lego system" that goes between roots, said Kardish. It would have stored and released water, while providing some structural support. But that system is normally used with small trees, in new settings. Kardish said when the company contracted a forester to evaluate the system, they discovered it wasn't viable and the trees would likely not survive the construction process — taking place directly on top of the root system. "We're now stuck in the situation where things aren't working out quite as planned." If he hopes to save them, Deadman must now prove to the city that he partially owns the trees. The city agreed to extend the deadline by two weeks, so Deadman can have his land surveyed and hire a lawyer and an arborist to make his case. The exercise will likely cost him thousands of dollars, he said, but it will be worth it to save the beloved trees. "They're huge trees that are a boon to the whole neighborhood," Deadman said. Kardish said, if the trees are removed, new trees will be planted.